AXELOS is delighted to announce that from 1 January 2018, all new ITIL Foundation certificates will include one year’s subscription to ITIL Membership. 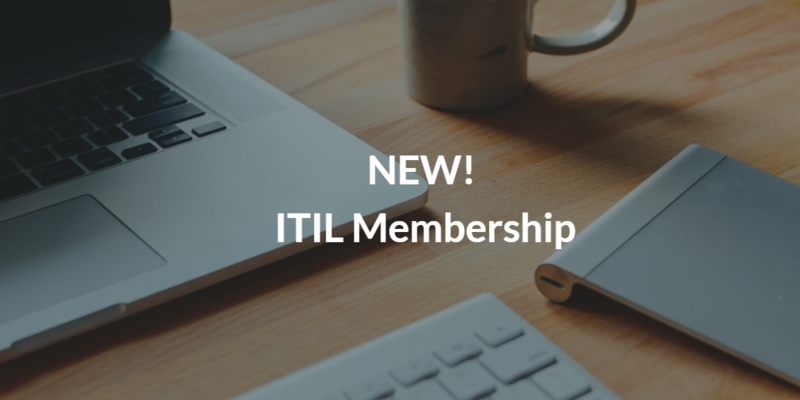 What is included in the ITIL Membership? ITIL Membership includes toolkits, templates, white papers as well as guidance to support an end learner working through the portfolio. How can you claim their ITIL Membership subscription? Every candidate that earns a new ITIL Foundation certificate from 1 January 2018 will be contacted by AXELOS to activate their subscription. Candidates will be invited to claim a digital badge that links to their ITIL Foundation certification. Get in touch using this form should you have any questions.